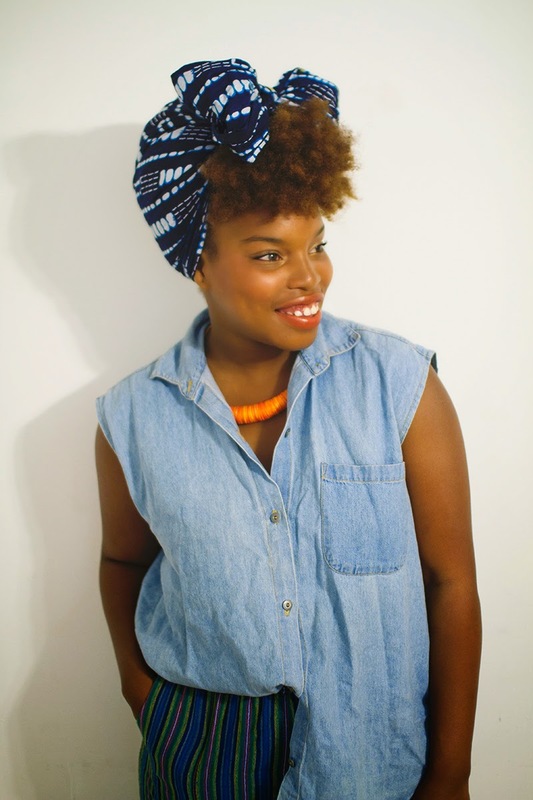 Last week I shared two ways I style my head wrap on A Beautiful Mess. I get asked a lot of questions about my wraps, and it definitely needed it’s own spot on this blog. Wraps are often my go-to when I’m feeling tired, or want to spice up my outfit a bit. They also protect my natural hair on hot days and frigid days. They have become my style staple, a little comfort zone for me of sorts too. Have you tried wrapping your hair? Jumpsuits make nursing and errands in the city a breeze. And I do love a good patterned mash up. Of course, my all time favorite lip color made a debut as well. Thank you Ergo for having me! Have a great weekend with the ones you love!